Weeks ago..a fellow Just Add Ink DT member recently had a new addition to their family, so being slacker that I am ..I only just managed to make and card and send her a little gift for their new wee man. Heres what I came up with .. I did have ideas of making a box for the gift (a sleep suit) but I just kept on mucking it up ..so plan b was to wrap it in the paper and add a tag.. lol! 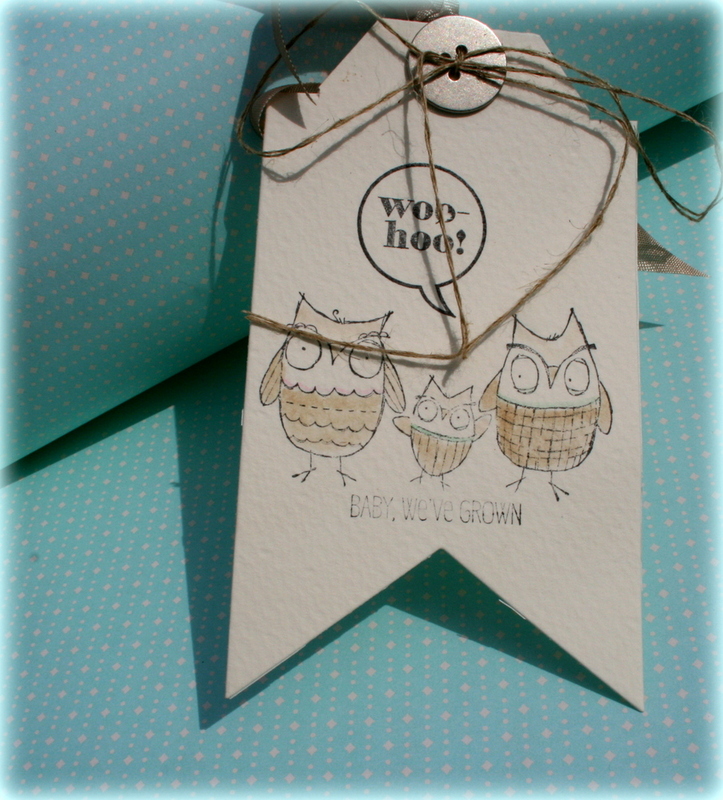 Heres a close up of the card and tag. (scuse the shadow) I like to take photos of my work outside on overcast days but theres been none of those lately …well my town has the most sunshine hours in New Zealand so sometimes thats a bit hard! What a complaint aye? 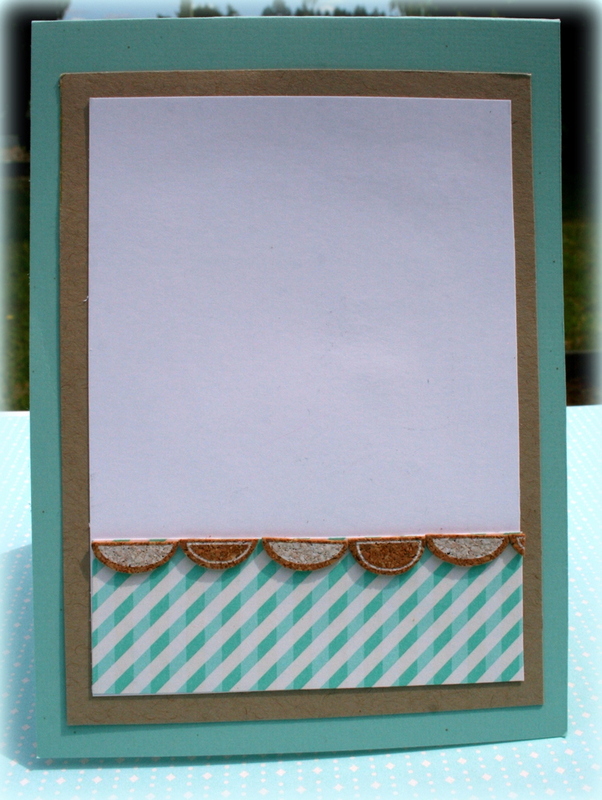 Other: Arrows Textured Impressions Embossing folder, Basic Metal buttons, Linen Thread, Crumb Cake Seam binding ribbon, Sweet Sorbet Accessory pack, Banner framelits, Angled Tag topper punch, blender pen. Ink: Pool Party, Crumb Cake, Stazon black. I love your thoughtful gift, tag and card. Delys. I actually like the idea of wrapping the gift in DSP like a sausage! At least I managed to acknowledge his arrival before he started college, blahahaha!! That would be a first though!